In Greek mythology, Hyperboreans were a tribe who lived far to Greece's north. Contained in what has come down to us of Greek literary tradition are texts that identify the Hyperboreans with the Celts, or Hyperborean lands with Celtic ones. This groundbreaking book studies the texts that make or imply this identification, and provides reasons why some ancient Greek authors identified a mythical people with an actual one. 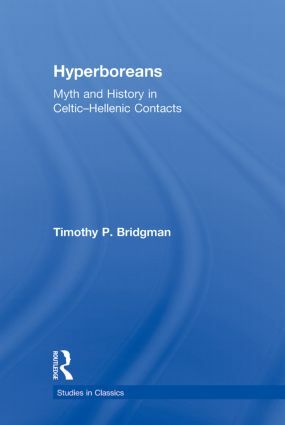 Timothy P. Bridgman demonstrates not only that these authors mythologize history, but that they used the traditional Greek parallel mythical world to interpret history throughout ancient Greek culture, thought and literature. SECTION THREE: THE HYPERBOREANS AND THE CELTS: A CASE OF MISTAKEN IDENTITY?